Temple’s definition of success is synonymous with sustainability, and to us, it is a way of life. The architecture of sustainability rests on Three Pillars: social, fiscal, and environmental. In order to ensure the highest quality cup, and build truly sustainable sourcing, we make partners and friends throughout the supply chain and control quality in every step of coffee travel, set payment in a transparent way, reach out to communities around the world, and ensure a high standard of farming practices. 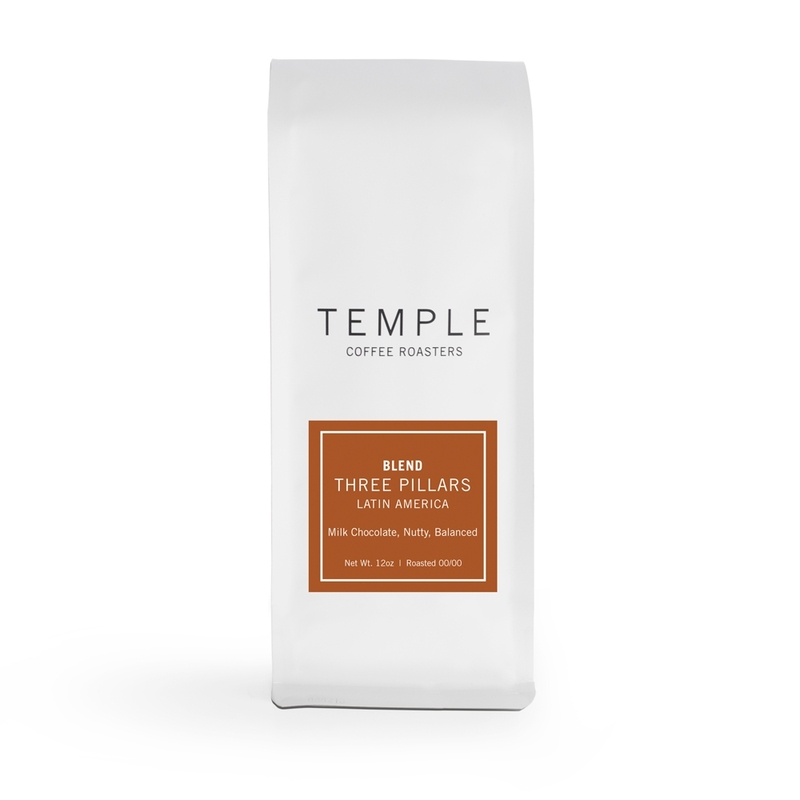 Our Three Pillars Blend is crafted to please the coffee lover in us all. The blend is composed of coffee from our direct trade partners in Guatemala, Costa Rica, and Colombia. Enjoy our Three Pillars Blend however you would like: hot or cold, with or without cream and sugar.